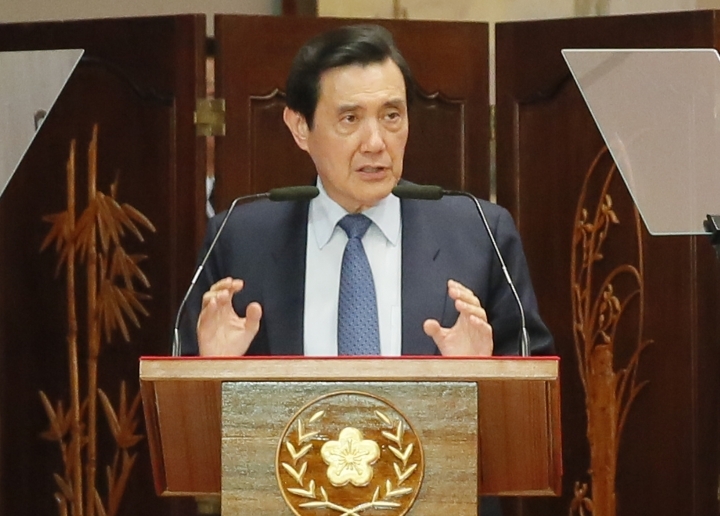 BEIJING — Former Taiwanese President Ma Ying-jeou was sentenced to four months in prison Tuesday on charges of leaking classified information, in a case that underscores differences between pro-China and pro-independence forces on the self-governing island. The charges against Ma relate to testimony allegedly disclosed to him illegally in 2013 when he was president and facing challenges from opponents in the legislature. Ma can appeal the sentence, which is also commutable to a fine. China embraced Ma's pro-China Nationalist Party government, but has shunned that of his independence-leaning successor, Tsai Ing-wen, head of the Democratic Progressive Party. Ma had originally been found not guilty of the charges last August, but prosecutors appealed the verdict. The charges against Ma arose from a 2013 lawsuit brought by Democratic Progressive Party lawmaker Ker Chien-ming, who accused the ex-president of leaking information from a wiretapped conversation. Ma met with Chinese President Xi Jinping in 2015 in what was seen as a watershed moment for relations between the Communist Party and the Nationalists who had fled to Taiwan amid civil war in 1949.